The Pet Food Purchase Decision Study will provide insights to clients looking to optimize their brand performance in key retail channels by leveraging influence. Actûrus, the leader in global consumer and influencer research, is happy to announce the launch of its Pet Food Purchase Decision Study. 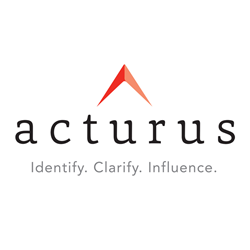 Actûrus conducts large scale, affordable multi-sponsored influencer studies in 50 countries and 20 verticals ranging from alcohol beverage to smart phones, as well as custom qualitative and quantitative consumer research. The Pet Food Purchase Decision Study will leverage influencer and consumer research, to provide insights to Pet Food manufacturers seeking to optimize brand performance. Influencers/Retail Sales Associates (RSAs) are critical to consumer pet food purchase decisions. Understanding the RSA can help you gain share of recommendations and increase sales. Actûrus is the leader in studying these influencers and making recommendations on how best to leverage their power at the point of purchase. Actûrus has been conducting research in the pet food industry for more than 30 years. There are currently 110,000 retail sales associates in the US interacting with consumers at the point of purchase for pet food. These RSAs make a brand recommendation over 44% of the time and have the power to make or break your brand in front of shoppers. In retail chains such as Petco and PetSmart, RSAs are making at least six pet food recommendations per day. “In a category where the product affects the health of a pet, choosing the right product is vital. Getting a product endorsement in the form of a recommendation from an expert makes all the difference,” said Kevin Moran, CEO at Actûrus. 1) Identification of the key drivers of RSA recommendations, including specific messages and trade activation programs that will increase your brand’s share of recommendations. 2) A deep understanding of how brands are perceived by sales associates and consumers, what they see and value from you and how you can improve performance. 3) A transparent view of the pet food shopping process from the perspective of consumers, covering information gathering to actual purchase. 4)Visual observation of the critical elements and consequent impact of sales influencers on a consumer's brick and mortar path to purchase. 5)Prescriptive, detailed and actionable insights leveraging sales associate influencers and consumer purchasers so you can win vs. the competition. To find out more about how Actûrus can help you win at retail, contact Chuck Sakany at chuck.sakany(at)acturus.com or 772-453-2757 or Lilly Schou at lilly.schou(at)acturus.com or 772-453-2758.